Someone please tell the weather. Because I am looking out the window at a bunch of snow. And it's not Ok.
Ah well, I'll just have to cook myself some food to comfort my snow woes. And it had been awhile since I'd tried a new baked chicken recipe! These are great because they have cheese, like, in their breading. Which adds the wonderful smoky goodness of cheese to these awesomely crisp, baked chicken fingers. For serious, who needs a deep fryer? Not me! Add chicken to a baking dish and cover with buttermilk-marinate in refrigerator for 2-4 hours (or overnight). When ready to bake, line a baking sheet with foil, place a rack on it, and spray the rack with non-stick cooking spray. Preheat the oven to 450 degrees. In a shallow bowl or plate combine the breadcrumbs, flour, and seasonings. Fold in the cheese. 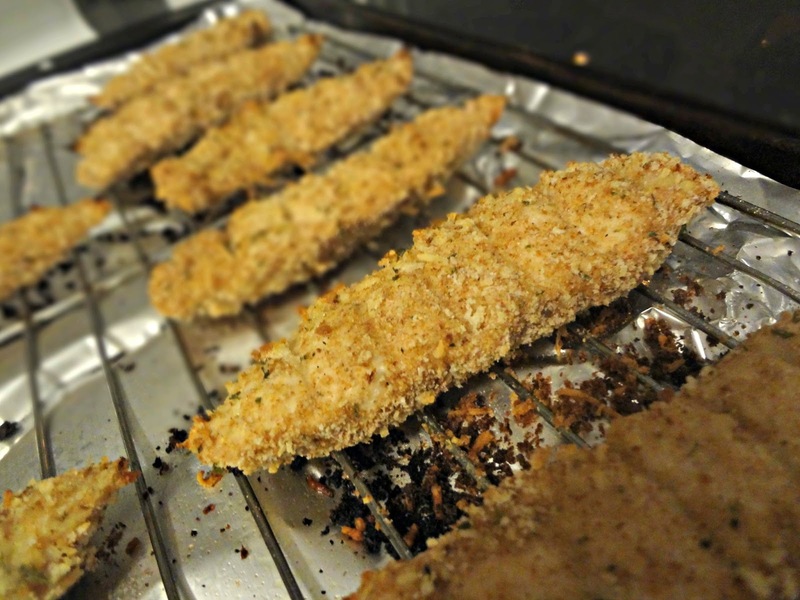 Remove chicken from the milk, allowing excess to drain off, and coat in the crumb mixture, pressing gently to adhere. Lay the chicken on wire rack-repeat with remaining chicken pieces. Spray all the chicken tenders with a light spritz of cooking spray (this helps them crisp). 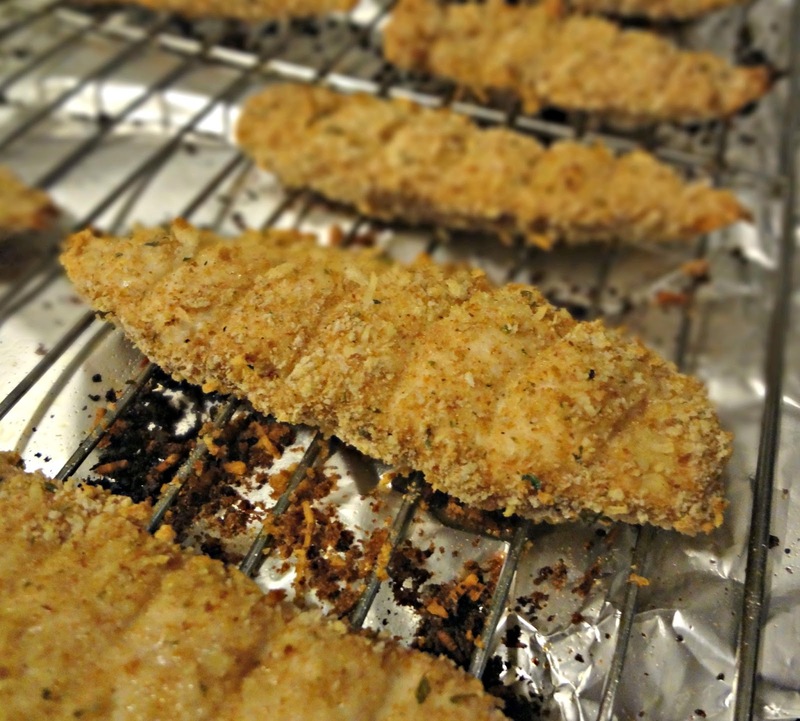 Bake 10-12 minutes, then gently flip the chicken fingers and spray the other side with cooking spray. Remove from the oven and cool for 5-10 minutes before serving.